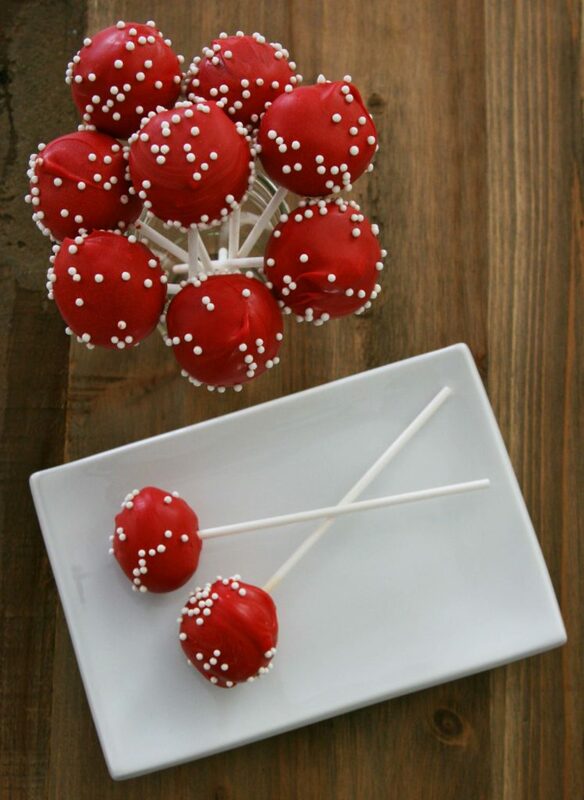 Inside: Find out all my secrets and tips for making the yummiest red velvet cake pop recipe. Cake pops are a delicious treat. 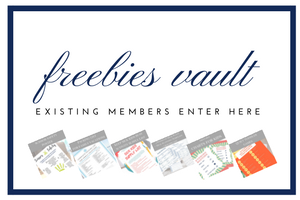 They make great gifts, table toppers, stocking stuffers, or party favors. By changing the color and adding a few pearl sprinkles, cake pops are the perfect way to add a special touch to any get together. 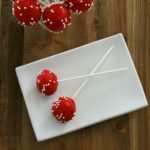 Here, I show you exactly how to make my red velvet cake pop recipe, without having to buy any fancy gadgets. Scroll to the bottom for the printable cake pop recipe. First, look at the cake mix directions. For my cake mix, it said to use 3 eggs. Because egg whites can dry out the cake, I instead used 4 egg yolks. I separate the eggs over a bowl and sift the yokes into a second bowl, then add to the cake mix. So, once you’ve determined the number of eggs you will need, if you’d like to try egg yolk only, then add an extra yolk to make up for the liquid lost from the whites. Then, mix the water and vegetable oil and use a mixer for two minutes. 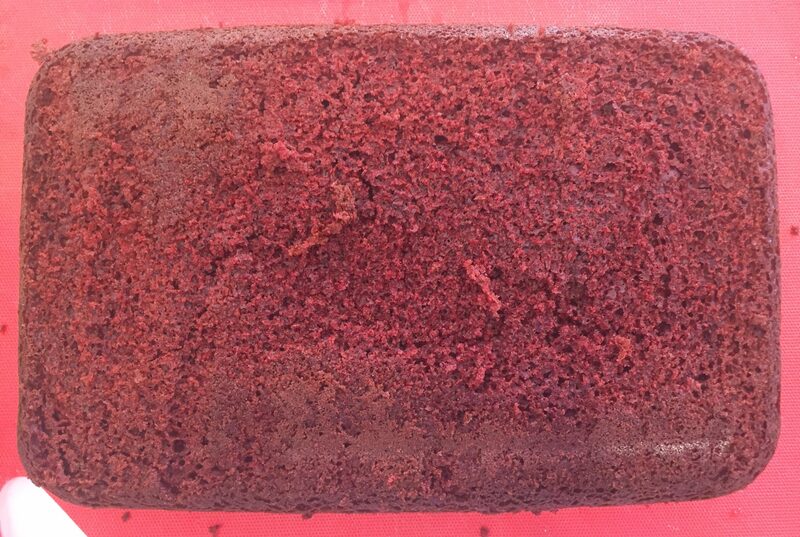 Another tip to keep the cake moist is to cook the cake for the shortest time suggested. Of course, you will want to check to ensure your cake is cooked throughout by sticking in several toothpicks and then pulling them out. If the toothpick comes out clean, then your cake is fully cooked. For me, this was 30 minutes of cook time. Next, allow the cake to cool and come to room temperature. 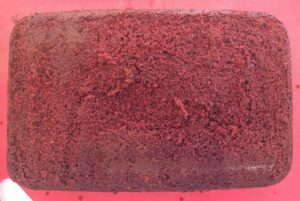 Once at room temperature, remove the cake from the pan and place on a cutting board. Use a bread knife to gently cut off the outside layer, as it typically is to crusty to make cake pops. Then transfer the remaining cake into a bowl. Use your hands to break apart the cake. With your hands gently fold in 3 tablespoons of cream cheese frosting. Mix well until cake mixture can stick together well. 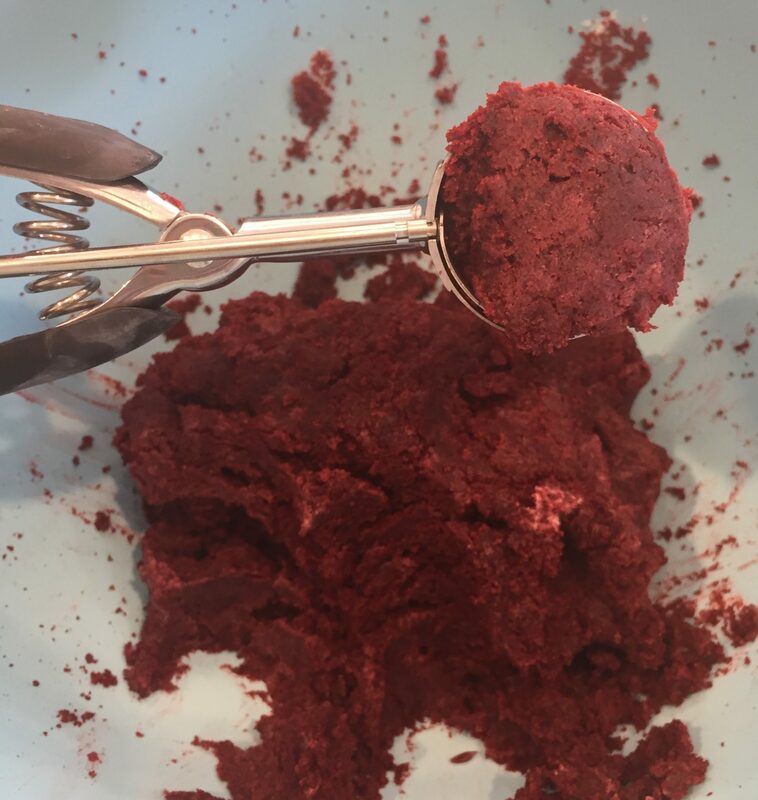 Use a cookie scoop, one of my favorite versatile tools, to create a ball of cake pop mixture. Pack the mixture together with your hands and roll into a ball. Then, place onto a baking sheet. I like to line my baking sheet with parchment paper. Continue until you have used all of the mixture to create cake pop balls. Next, in a small microwaveable bowl, add a cup of candy melts and warm in the microwave 30 seconds at a time. Mix each time, between warming. Once melted, dip the treat sticks into the candy melt and then stick half way into each cake pop. Then, place in the refrigerator for 30 minutes. While you are waiting for the cake pops to set in the refrigerator, you will want to prepare an area to set the cake pops once they have been dipped. Ideally, you would use foam for this. However, you can get creative and use a cardboard box like I did, and cut small X’s in it with an utility knife. I also found, short glasses did the trick perfectly fine as well. 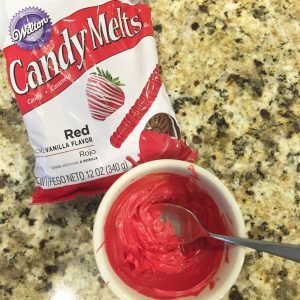 Now you are ready to melt the rest of the bag of candy melts using a microwave safe dish. Once melted, use a small bowl or narrow cup for the mixture, to make dipping easier. 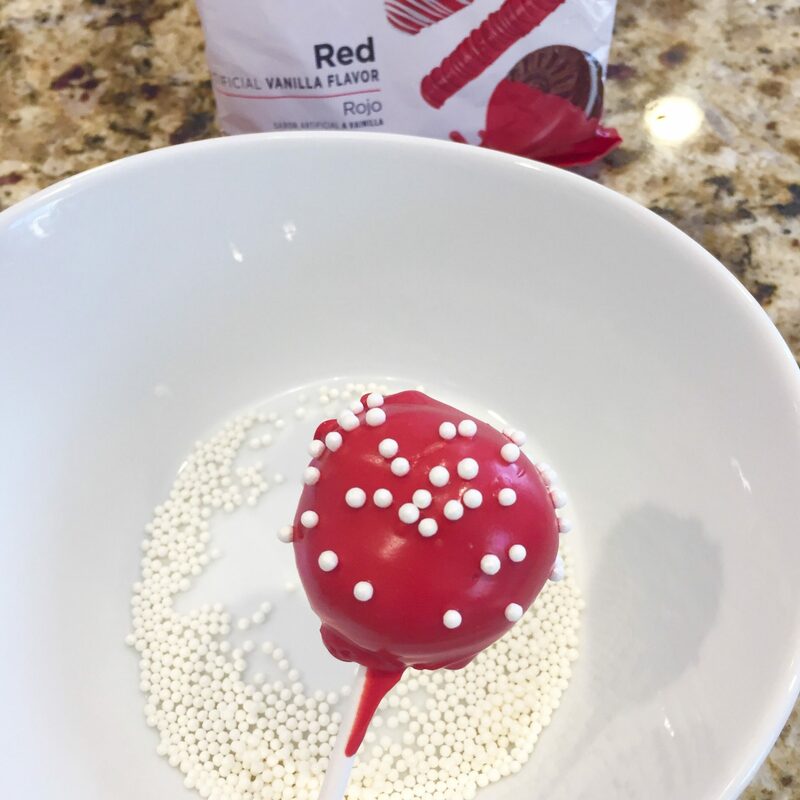 One tip before dipping is to rotate the cake pop very gently, if I rotated to many times, I would loosen or break the seal from the candy melt to the treat stick. Now, you are ready to dip the cake pops into the candy melt. Then, sprinkle on some pearls. Set the cake pops into a place they can dry upright, without touching, like mentioned above. Allow cake pops to set for 30 minutes. Enjoy! 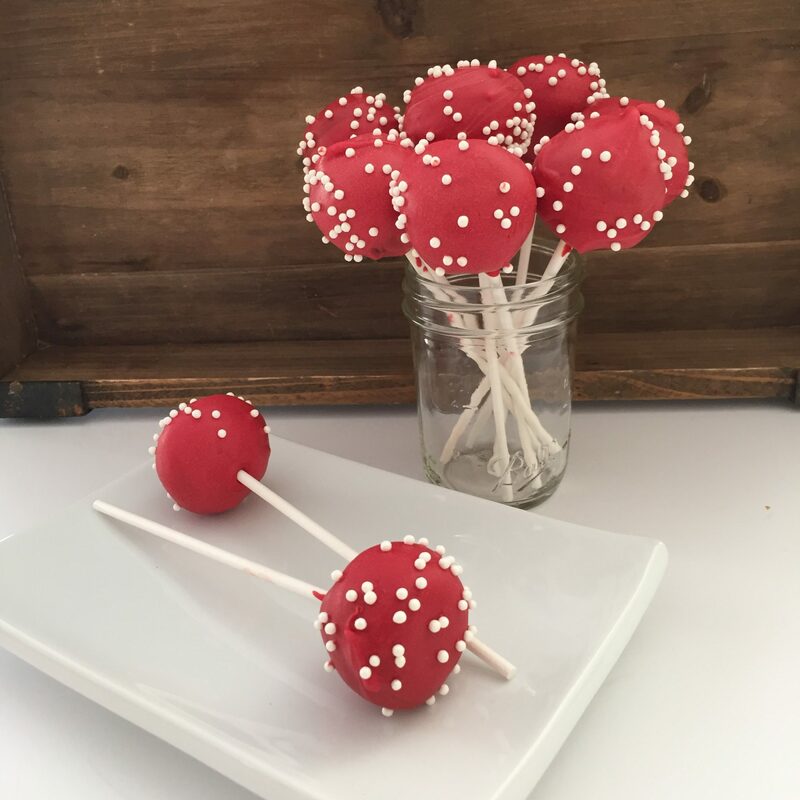 Dish description: Red velvet cake pops dipped in delicious candy melts and sprinkled with candy pearls. P.S. If you enjoyed this article, you may also like Chocolate-Dipped Peanut Butter Cookie Recipe. 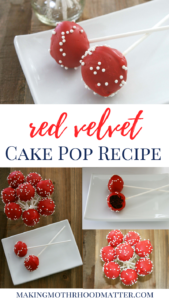 Find out all my secrets and tips for making the yummiest red velvet cake pop recipe. Preheat oven, then follow the directions on the cake mix package, substituting egg yolks +1 for eggs. Mix all ingredients. Bake the cake and check at the earliest cook time for your size pan. Once cooked, allow to come to room temperature. Cut off the outside edges of the cake. Use a cookie scoop, to create a ball of cake pop mixture. Pack the mixture together with your hands and roll into a ball. Then, place onto a baking sheet. Continue until you have used all of the mixture to create cake pop balls. Next, in a small microwaveable bowl, add a cup of candy melts and warm in the microwave 30 seconds at a time. 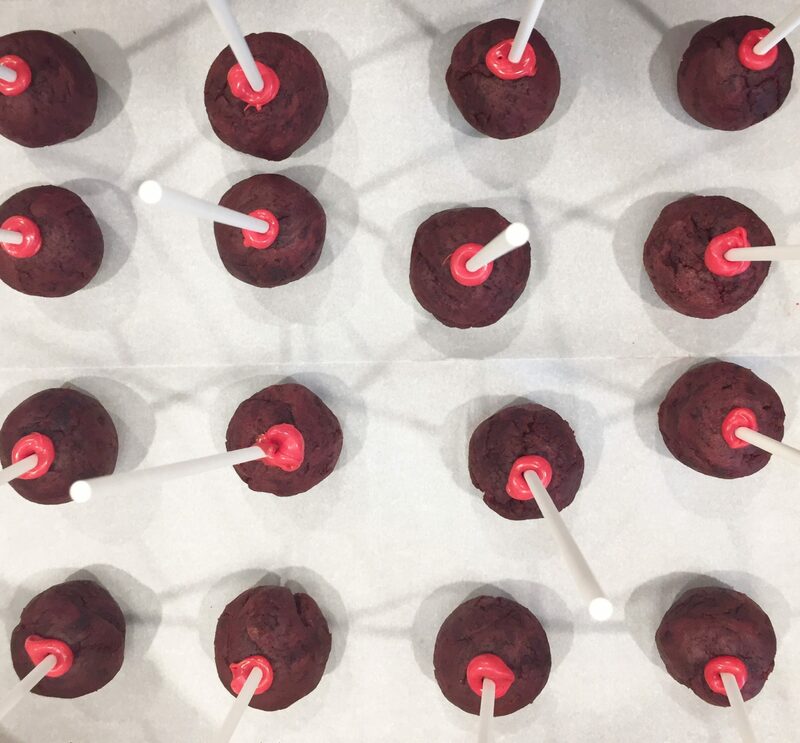 Once melted, dip the treat sticks into the candy melt and then stick half way into each cake pop. Then, place in the refrigerator for 30 minutes. Melt the rest of the bag of candy melts using a microwave safe dish. Once melted, use a small bowl or narrow cup for the mixture, to make dipping easier. Dip the cake pops into the candy melt. Then, sprinkle on some pearl sprinkles. 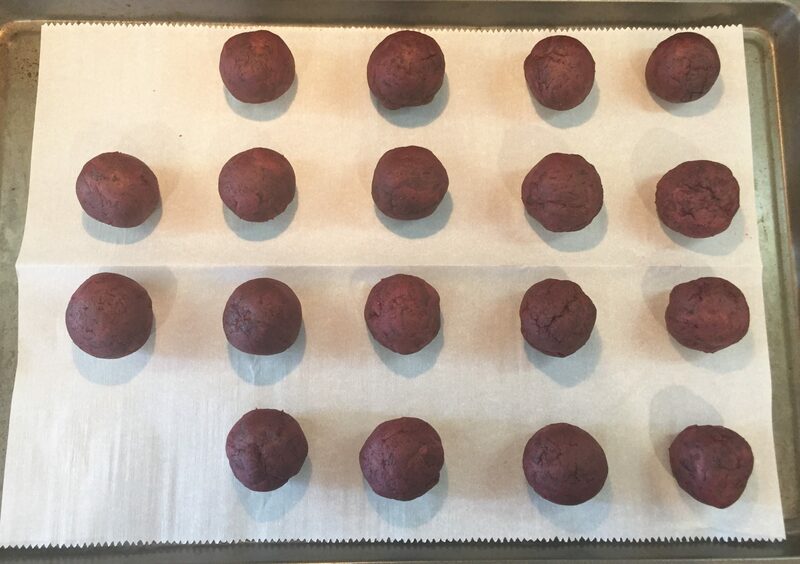 Set the cake pops into a place they can dry upright, without touching for 30 minutes. Thanks Kandja. They are so much fun to make, even my toddler wanted to help me. 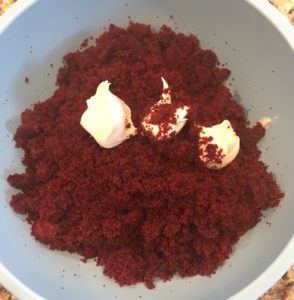 I left my heart in a bowl of red velvet cake batter ;). These pops look soooo yummy and are adorable, too! Hehe! Guilty confession... I ate at least 5 on the first day I made them. They are so good.